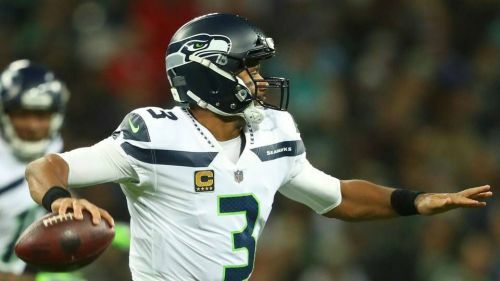 It is April 15th, the day that Russell Wilson reportedly set himself for him and the Seattle Seahawks to reach an agreement on a contract extension. Sources say Wilson won't sign an extension if a deal isn't reached by the 15th, with his contract ending after the 2019 NFL season. With that being said, here are a few potential trade partners should Seattle decide to take that route. Now this one is sort of obvious. The Giants are in desperate need for a signal caller, as 2019 seems to be Eli Manning's final season in New York. After trading Odell Beckham Jr. the Giants may not be willing to give up a lot for a star quarterback in his prime, when they are in full rebuild mode. While this is true, there is still major potential for this to happen. A trade centered around the 6th overall pick would be a nice start for Seattle, but assuming they want more, the Giants have the picks and young players to make a move. Seattle could use the 6th pick to get their QB for the future, plus gain additional assets in the process. Don't sleep on Russ Wilson heading to the Big Apple. Staying in the same division, the Redskins possibly have the worst QB situation in the NFL. After losing franchise QB Alex Smith to a gruesome leg injury last season, they also lost backup Colt McCoy, who showed promise in his limited action. By the end of the season, the two quarterbacks on the Redskins' roster was Josh Johnson and Mark Sanchez. The biggest difference between the Giants and the Redskins is that the Redskins are built to win now, and are only missing a QB. The Redskins quietly had a great offseason, highlighted by signing Landon Collins to a massive deal. They are a good football team in need of a leader, in which Russ fits that quality. The Dolphins moved on from QB Ryan Tannehill this offseason, and will now look to the future to figure out what's next. Miami signed Ryan Fitzpatrick to a deal this offseason to be a "bridge" QB until they find their future franchise QB. There have been rumors that Miami may try and acquire Kyler Murray on draft night, but that would involve moving up from the number 13 pick where they stand right now. A package deal for Russell might not be too much more than a deal to move up into the top 3 of the NFL Draft, so keep your eye out on Miami as a sleeper team to dip their foot into the Russell Wilson sweepstakes.